Above: From Yes We Carve. Sacre Vache and holy typographic pumpkins, Batman! Danke Schön, Marissa, for this joyous link! ooh my!!! 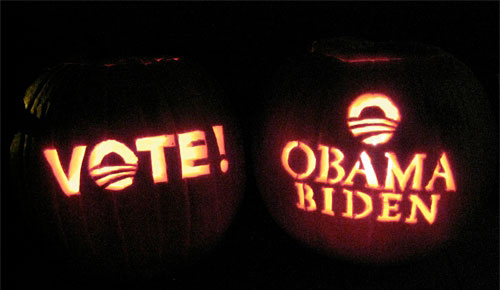 I LOVE IT, very creative n very OBAMANOS!!! This entry was posted by Erik Brandt on Wednesday, October 29th, 2008 at 12:31 AM	and is filed under Aktuell, Art, Education, Free Radicals, Globalization, Graphic Design, International, Minneapolis, News Links, Typografika, Typography.